The shower curtain rings return! 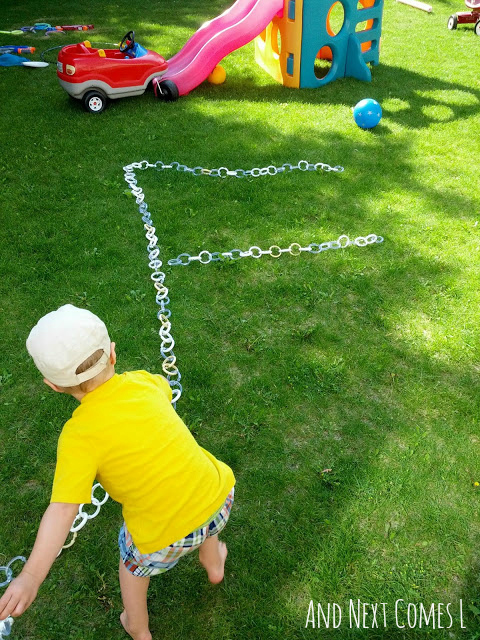 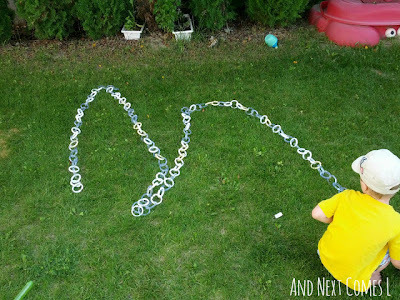 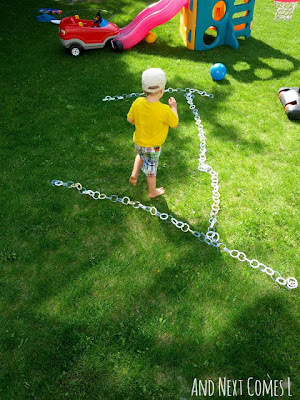 This time J and I took them outside to build some large scale shapes and letters. If you've read the previous posts that used shower curtain rings (see here and here), then you will already know that I have a lot of shower curtain rings. 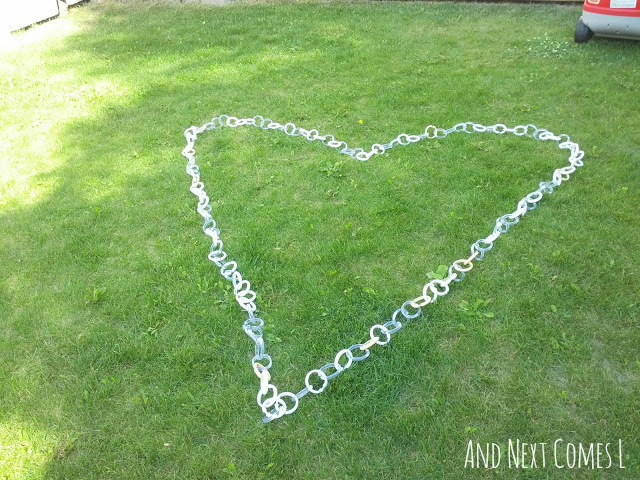 See...a lot! 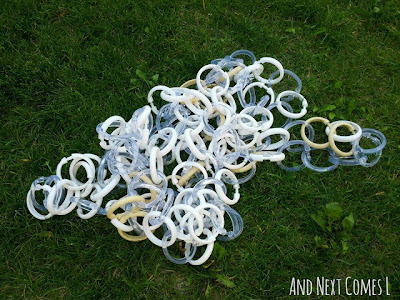 And that excludes the 26 alphabet shower curtain rings. 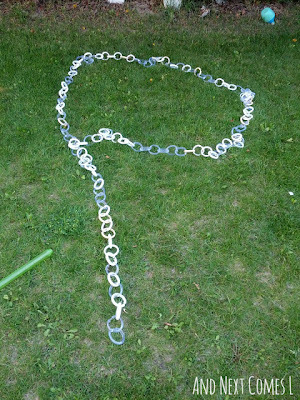 Anyway, I figured we could link all the rings together and use it to build shapes. 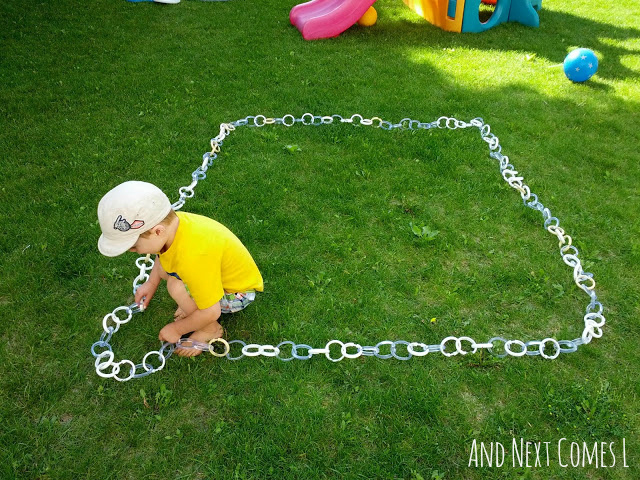 However, we needed a large open space due to the number of rings that we have so J and I headed outside while K took his nap. 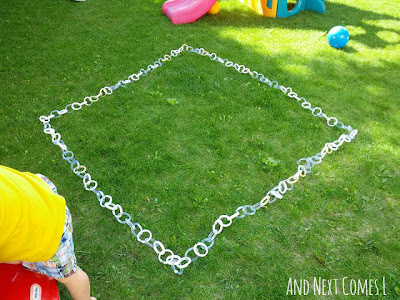 First, we built a square. 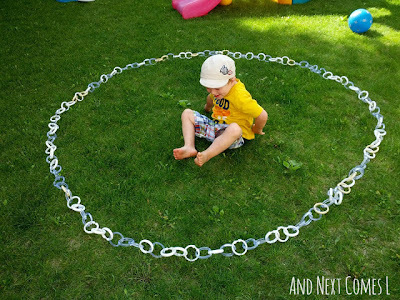 Of course, we did a circle as well. We also built a diamond. 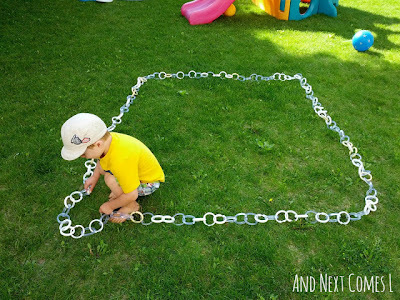 Then J requested a house. 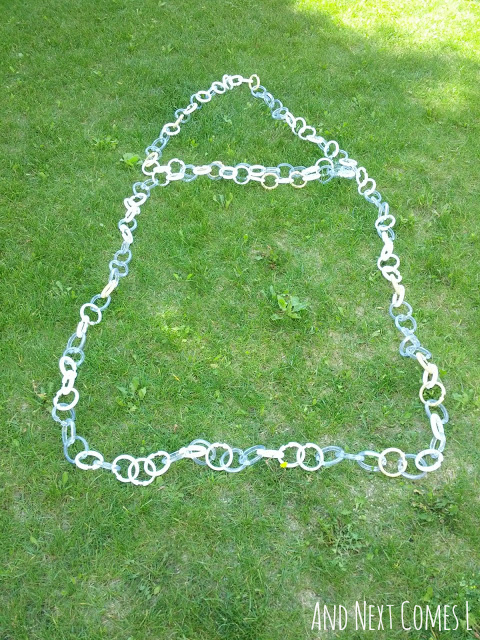 So here's the house. 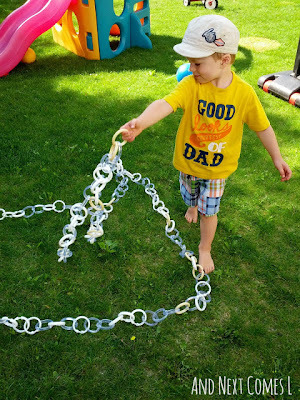 Then J decided to do a little free play with the rings. The free play eventually led to him trying to make letters. 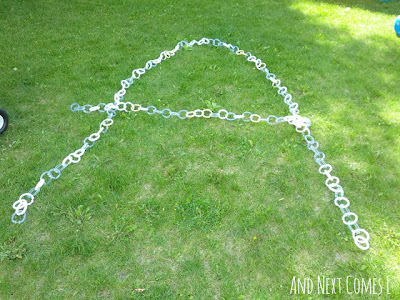 However, the rings were all still linked together so building letters proved to be a bit of a challenge. 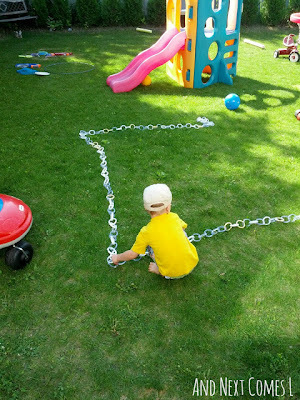 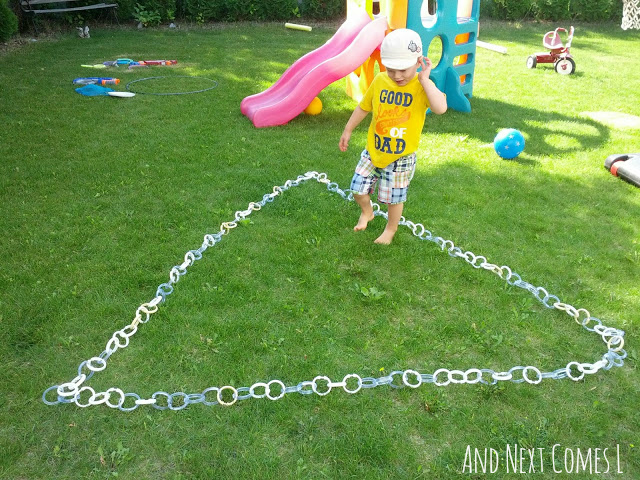 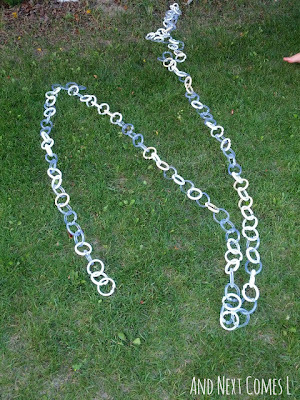 So I broke the chain into four separate links of varying lengths and off J went. 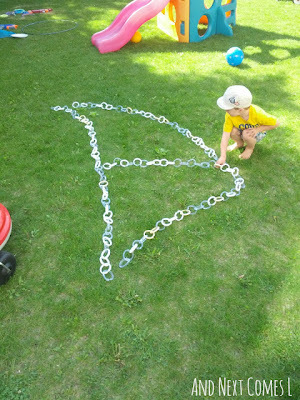 If you're familiar with the blog at all, you'll know that we have built giant letters outdoors before so he's a pro. Here are some of the letters that he made. 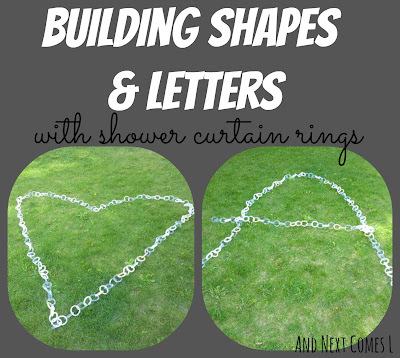 Don't forget to check out our other shower curtain ring activities, including Alphabet Shower Curtain Rings and Shower Curtain Ring Counting and Sight Word Shower Curtain Activity.